Nervous about planning the perfect marriage proposal? Check out these vital marriage proposal tips you’ll need to know. Remember to talk about getting married beforehand so that you’ll know where you both stand on marriage. If she expresses hesitation about marriage, then now might not be the time for a proposal. This will also help you take your relationship to the next step in preparation for an engagement. 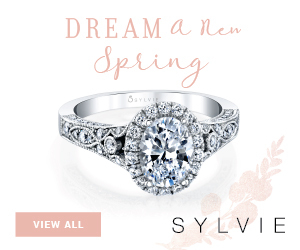 Sure getting married isn’t about having fancy rings, but because of the important symbol engagement rings hold, it’s important to have one during the proposal. No excuses. You must have one. If you’re worried about money, buy a cheaper engagement ring for now and give her the option of upgrading the engagement ring in the future. 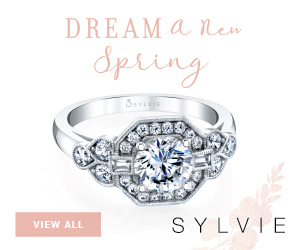 This is probably the hardest step, but try to pick up hints she’ll drop about her taste in engagement rings. Check out the kind of jewelry she wears, or listen when she talks about someone else’s engagement ring. 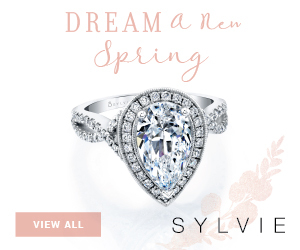 It might also be easier to consult her best friend, mother or sister to help you find an appropriate engagement ring. Let her family know of your intentions of marriage. If you want to be accepted into the family, you should make sure to include them throughout the proposal process. If you’re trying to pull off an extravagant proposal, you’re going to need some help. Consult family and friends to help you plan the perfect marriage proposal. Sometimes the best proposals are pulled off via connections. Timing is everything. Make sure your proposal comes at a time that makes the moment absolutely perfect. If you’re having a hard time finding that perfect moment, wait it out. Don’t become impatient and pop the question during an untimely event. Choose a location that’s special and important for the both of you, this could be the place where you first met or the place where you had your first kiss. Whatever location you pick, make sure it’s romantic and special. These days guys like to try really hard to make their proposal extravagant and “out there.” This is OK, but make sure the proposal is unique to you. If you’re an artist, paint an elaborate mural. If you’re a musician, write a song. But if you’re none of these things, don’t waste too much energy trying to make your proposal bizarre and showy. 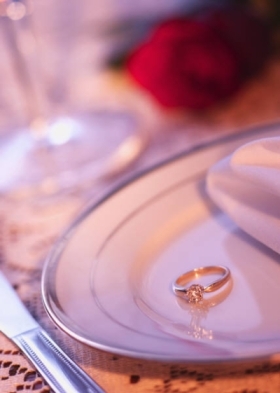 Sometimes a quiet proposal over dinner suits couples better. If you’re afraid of becoming choked up during the moment, write a poem or speech beforehand that you can read to her during the proposal. Make sure to write in your speech why you want to marry her and why you want to spend the rest of your life with her. Now that will really tug at her heart strings. Even if she knows you’re planning to propose, she still doesn’t know when you’ll propose. The surprise factor is a major factor in proposals. Make sure to take as many cautions as you can to make the marriage proposal a complete surprise. Sometimes proposals can backfire. If that’s the case, you’ll want to have a back-up plan handy to ensure you’re not completely out of luck. Even if you’re a low-key couple, a proposal over take-out just isn’t that romantic. A proposal should be special, and it should be a moment that truly sweeps her off her feet. If you’re not the type to usually shower your girlfriend with flowers, gifts and dates to expensive restaurants, she might become suspect the minute you try to do all these things. If that is the case, try to take a different approach to the proposal. Instead of taking her to a swanky restaurant, choose a place that’s more familiar — a place the two of you love to go together. 14. Get on your knee! Sure times have changed and we’re all a lot less traditional these days, but be a gentleman and get down on one knee. Even if you get steps 1-14 wrong, you can still pull off the perfect proposal if you do it from the heart. No amount of ugly engagement rings or crummy proposal locations can spoil the love of two people getting engaged. If you are a girl, think about proposing to him! 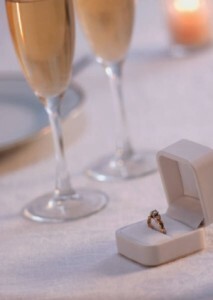 Check out our Propose Too blog to see how. I want to make this year special for my girlfriend. 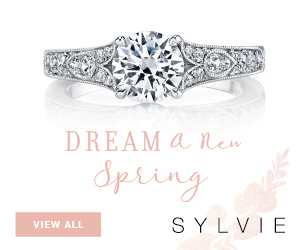 I am going to ask her to marry me sometime this year, and im looking for the perfect ring to show her how much she means to me. I want to ask her to marry me in Central Park after a horse-and-buggy ride. I am going to propose to my girlfriend this weekend, these tips have helped me plan it. I picked this Sunday, which is our 6 month anniversary (well, monday is) and since we got together on St. Patty’s Day, and she is Irish, I had an engraved silverplated ringbox made which says “Will You Marry Me?” in Gaelic on it with our names and the date. I booked a dinner cruise on the same lake where she told me she loves me 6 months ago. And a B&B on this lake for the night where she said she has always wanted to go. I think I have all the bases covered, now to just do it!